The dawn of the robot age is upon us, and the time has finally come for us humans to kick back and let our robot mates do some of the heavy lifting. The WORX Landroid is set to change the way we approach one of the least enjoyable tasks known to human kind; mowing the lawn. The days of sticks and rocks stinging your shins and throwing your back out heaving on a pull-start cord are long gone. The Landroid is a battery operated, robotic, grass-cutting machine. Capable of cutting areas of up to 1000 square meters on a single charge, the Landroid will make life easier for people all over Australia. WORX has developed the Landroid to withstand adverse weather, which means the rainy season won’t have your backyard looking like a jungle. It’s as simple as marking out the Landroid’s territory with the supplied Boundary Wire, placing the charging station in an appropriate place, setting your cutting height, and putting your feet up while you watch your little helper go to work. 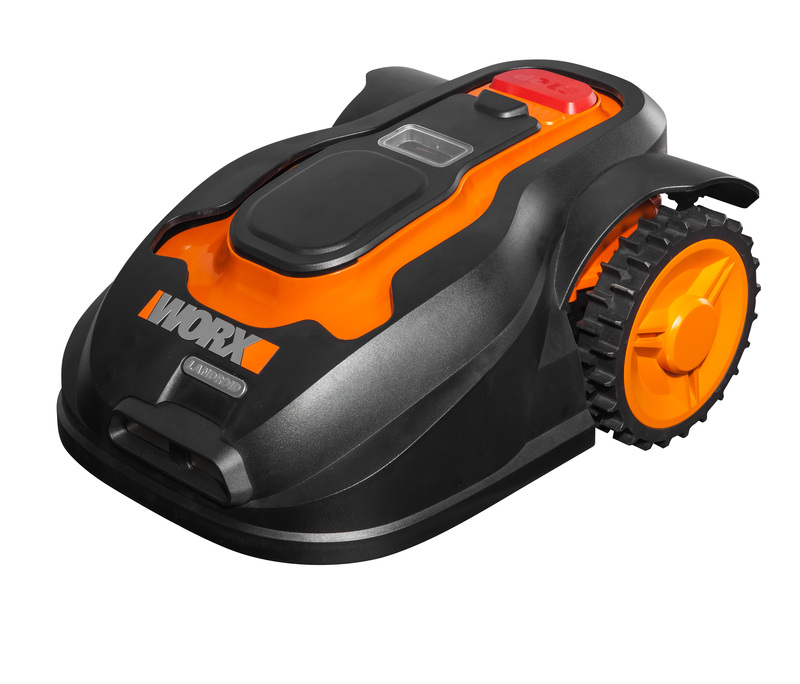 Once you’ve installed your Boundary Wire and charge station , the WORX Landroid will patrol your yard, sensing and avoiding any obstacles while giving your lawn a neat trim. With its centred blade and advanced sensory system, it will shut down as soon as all 4 wheels aren’t on the ground ensuring a high level of safety. You’ll also never pester your neighbours with a noisy mower again, thanks to a super stealthy, low sound output. An incredibly high level of intelligence allows the Landroid to operate on a pre-programmed schedule; program the Landroid to work for an hour from 5pm on a Wednesday afternoon, and like clockwork the Landroid will roll out of its charging station and get cutting within the perimeter of the boundary wire. The sophisticated battery monitoring system ensures that your lawn will never end up half cut. When the Landroid’s battery is running low, the unit automatically returns to its charging station for a quick power up before returning to complete the job. Powered by a 28v Li-ion battery, the WORX Landroid is a zero emission machine, which makes it much better for the environment than petrol powered alternatives. The WORX Landroid was awarded a 5-star rating by Swedish, robot experts WiseGuide in April, 2014. 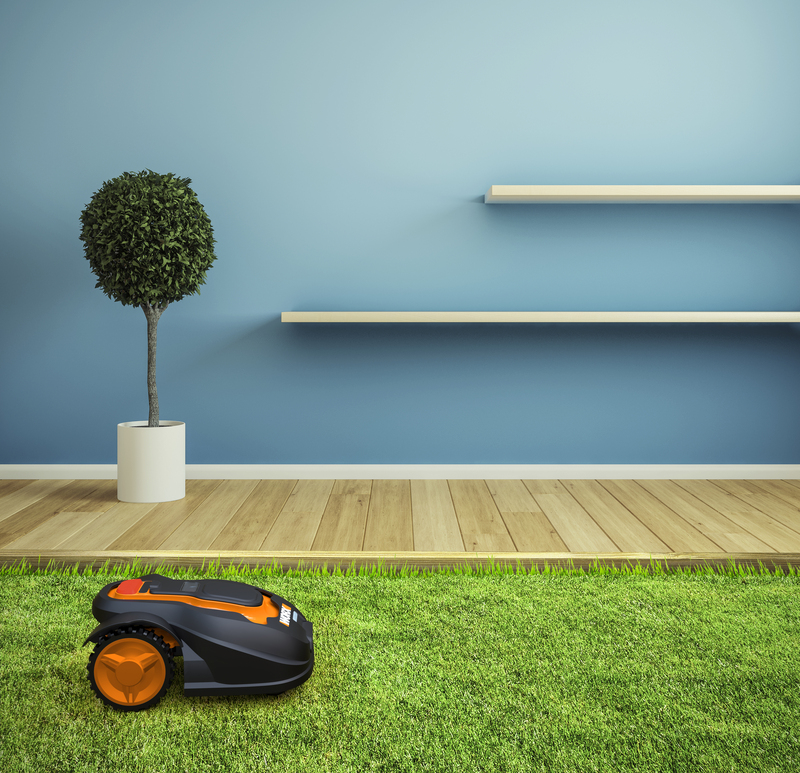 This means it is the best-ranked robotic lawn mower on the market! When faced with a tough job, humankind invariably asks the question “how can I make this easier?” Mowing the lawn will never be one of those jobs again.